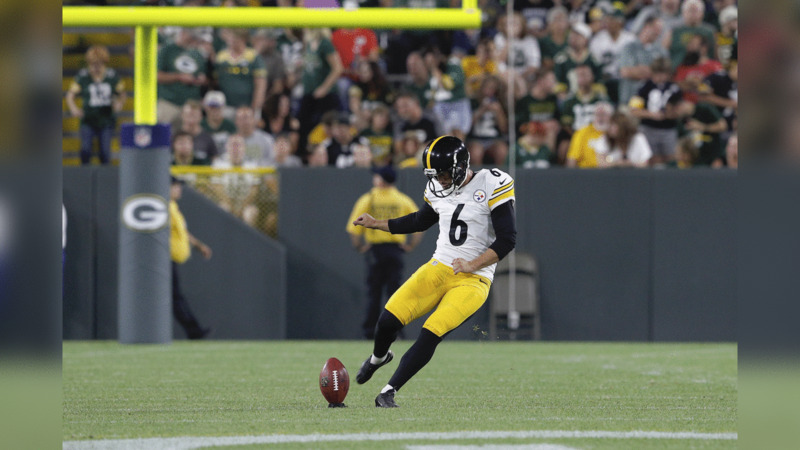 The Vikings on Sunday announced the acquisition of punter Matt Wile. Wile joins Minnesota after spending the preseason with Pittsburgh. Here are five things to know about the new Vikings punter. Wile has had a winding path in the NFL. He began his career as an undrafted free agent with Carolina in May 2015 but did not play for the Panthers. He signed with Dallas the following offseason but was released by the Cowboys before the 2016 season. Wile then played in one game for the Falcons in November 2016 before he joined the Arizona Cardinals the following month. Wile played in three games for the Cardinals and was released before the start of the 2017 season. He signed with Pittsburgh in January and competed with Jordan Berry for the Steelers gig. Wile has appeared in four NFL games, totaling 553 yards on 12 punts with a long of 59 and an average of 46.1. This preseason, the 26-year-old punted eight times for 392 yards (49.0 average) with a long of 58 for the Steelers. He and the coverage team had a net average of 48.8 and placed four punts inside the 20-yard line without having a touchback. Wile attended Francis W. Parker High School in San Diego, California. He made 10 of 13 field goals as a senior and recorded 91 touchbacks on 101 kickoffs that season. He was invited to play in the U.S. Army All-American Game. Wile played in 52 games as a kicker, punter and kickoff specialist for the Michigan Wolverines. He recorded 108 touchbacks on 284 kickoffs and made 20 of 29 field goals. He also totaled 3,658 yards on 91 punts (40.2 average) and placed 29 of those 91 punts inside an opponents’ 20-yard line. Wile’s father, grandfather, great grandfather and great-great grandfather all attended the University of Michigan’s Medical School. Wile slightly broke tradition by enrolling in Michigan’s College of Engineering.